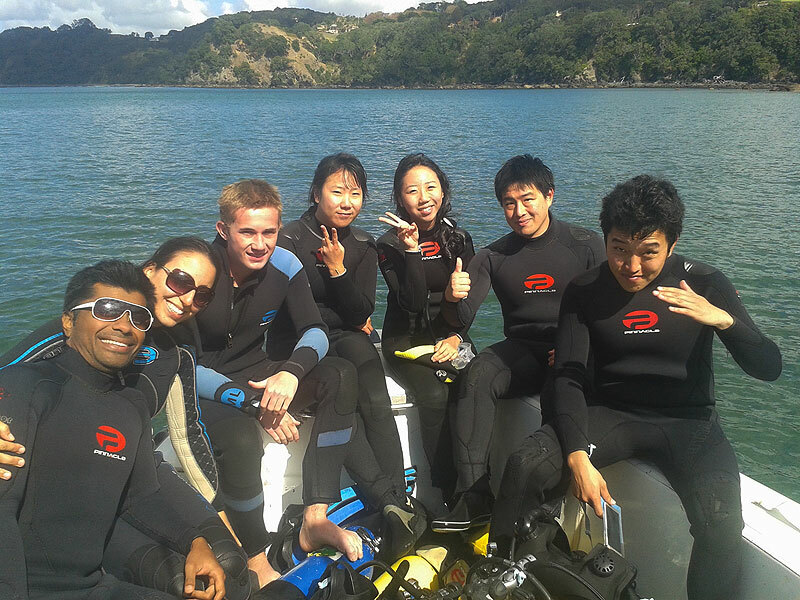 On Saturday morning we headed out with a group for a couple of fun dives at Goat Island Marine Reserve, Leigh. Although a large swell was running we managed to tuck in behind the Island and enjoy a couple of dives. Our boat enables us to get out beyond the reaches of shore diving and enjoy the best diving that Goat Island has to offer. Pierre, Carolyn, Johnny, Jenny, Jacey, Eric and Leo at Goat Island. In the afternoon we headed back out to the Outpost and Daniels Reef with some of our instructor candidates for some more training dives.